The successor to the bezel-less Vivo Nex received a new teaser ahead of its launch on December 11, and like its predecessor, Vivo Nex 2 will be different and unusual. The original Nex was a head-turner but the Nex 2 is expected to turn a few more this time with its dual display implementation. 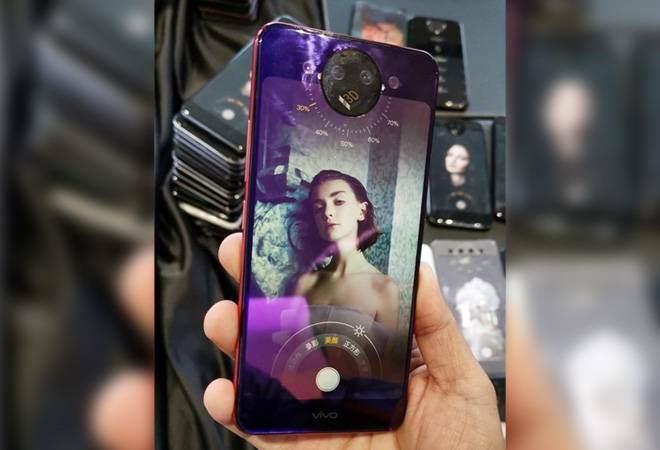 Vivo Nex 2 has a bezel-less front display and the secondary display at the back houses two cameras within a circular module and the third sensor sitting outside of it. The main purpose of the secondary display is to allow people to click selfies without the need of any front camera. Earlier, the first generation Nex had used a complex motorised mechanism wherein the camera module for clicking selfies was hidden and popped up only when needed. The Nex 2's display is edge-to-edge and the bezels are even thinner than what we had on the original Nex. However, the display at the back has bigger bezels with the camera module sitting firmly on the forehead. Having two displays does come at a price, and it is not just the retail price we are talking about. There could be operational and usability issues. As per the initial reports, Nex 2 will have 'swipe with three fingers' to the side in order to switch between the front and rear displays: not the quickest implementation but very functional. Not much is known about the Nex 2s internals. It, most probably, would come with Snapdragon 845 with 8GB or 10GB of RAM and up to 256GB of storage. It also could be pricier than the existing NEX and may be one of the last phones to still have the 3.5mm audio jack.